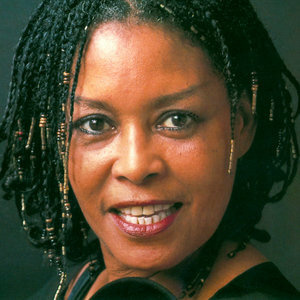 Ms. Abbey Lincoln, ladies and gentlemen. This was the title track of an album whose release on Verve in 1990 began what may well have been one of the most startling and satisfying winning streaks of any artist in any sphere. The world may or may not have been falling down at that time. 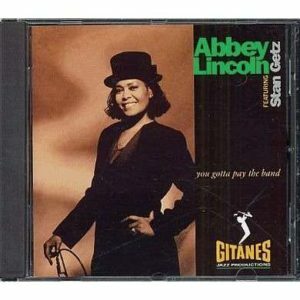 But it stopped long enough to pay renewed, intensified attention to Lincoln, who rewarded it with a bounty of recorded output showcasing her gifts as a songwriter and vocalist. 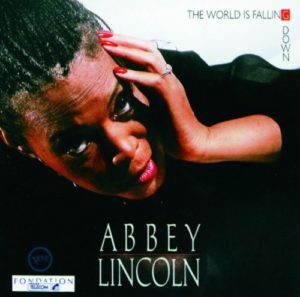 I’d hoped I would hear “The World Is Falling Down” the other night at the Kimmel Center’s Merriam Theater in Philadelphia where “A Tribute to Abbey Lincoln,” presented by the John F. Kennedy Center for the Performing Arts, had stopped as part of the home stretch of its tour. I didn’t, but there was nothing else that disappointed about the show, whose staging and conception were as elemental, unfettered and as intensely focused as Lincoln’s singing voice while ever so subtly evoking her regal presence. 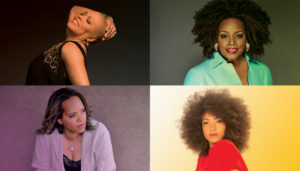 Then again, you could have evoked whole dynasties with three vocalists as athletic in range and as theatrical in delivery as Dianne Reeves, Esperanza Spalding and the freshest (in more ways that one) new NEA Jazz Master Dee Dee Bridgewater. Together and (mostly) individually, they rendered Lincoln’s repertoire backed by a combo led by drummer/musical director Teri Lynn Carrington featuring pianist Marc Cary, percussionist Mino Cinelu, saxophonist (and occasional pianist) Edmar Colon, bassist James Genus and guitarist Marvin Sewell. 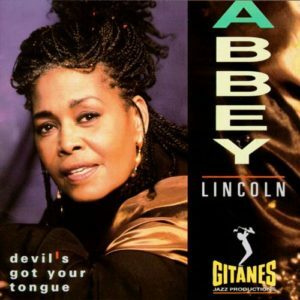 The case for Lincoln’s songs being embedded among classic jazz standards has been submitted and justified several times over even before their composer’s death in 2010 just after she turned 80. What Bridgewater, Reeves and Spalding did with Abbey’s repertoire was show the songs to be durable and flexible enough to withstand any variations, extensions or inflections. With this trio, kitchen-sink approaches would seem especially hazardous to Lincoln’s simple melodies and forthright lyrics. But they each invigorated the material, whether it was Bridgewater enthusiastically going vertical on “Wholly Earth” in ways that matched Lincoln’s galvanic renderings, or Reeves blending delicacy and acerbity on “It’s Supposed To Be Love,” Lincoln’s masterly deconstruction of spousal abuse. 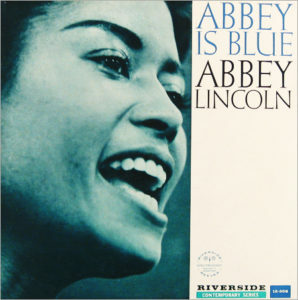 Spalding used her solos to deep-dive into songs written by others that Lincoln had made into her own on the 1959 Riverside album Abbey Is Blue, whether it was the 1928 movie dirge, “Laugh Clown Laugh,” to which she applied her own version of Lincoln’s game of duck-and-weave with the beat and Mongo Santamaria’s “Afro Blue,” where she was as militant as Abbey, but also more willing to stretch and bend the choruses as her own act of self-assertion. Her mic wasn’t as well amped as those of her two partners. (And while we’re on the subject, the Kimmel people need to do something about the balcony seating, which still seems more accommodating to eighth graders than to grownups with arthritic limbs.) But Spalding’s turns, even more than the stuff that’s made her a festival star, left you in greater anticipation of where she’ll be a decade from now. As rousing as the evening was, it also left me feeling wistful and nostalgic. 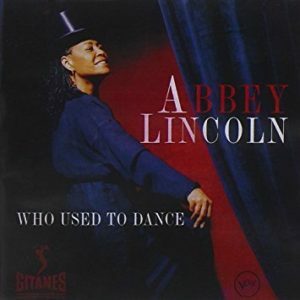 It became clear as each of these songs came at me one after the other that the 1990s, the decade that was my most professionally productive as a jazz journalist, was also the Abbey Lincoln decade. Her re-emergence into the recording world coincided with my being hired by Newsday to cover jazz and the albums seemed to come like clockwork through the turn-of-the-century. Rarely, if ever, did I miss a live date or concert appearance, whether it was a Tuesday opener at the Blue Note or a glittering guest turn at Verve’s 50th anniversary concert at Carnegie Hall where she nailed “I Must Have That Man” to the wall. 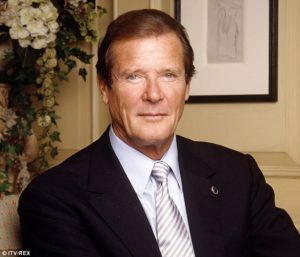 Our sixties and seventies beckon us as if they were our parents calling us in for dinner at twilight. And we’re either hiding in the bushes or ignoring their summons, hoping they’ll give up and go away. Only we’re the ones who are giving up by cringing at the inevitable. Though we don’t lack for aging-process cheerleaders and life coaches assuring us that sixty-five, seventy-five or (org!) eighty-five are just numbers, our aching joints and delayed-action memories insist otherwise. Most of us can’t work up enough energy for a tantrum, let alone a Lear-like eruption, against Faulkner’s “ding-dong of doom.” We’re more tempted than not to let the fires that propelled our younger selves deeper into the world smolder and cool into embers. 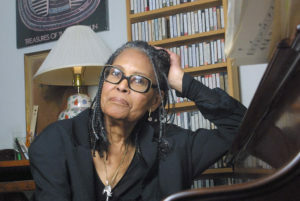 Abbey Lincoln spent her sixties and seventies showing us that such things didn’t have to be. Through more than fifty years of singing, acting and songwriting, Lincoln emitted a rigorously tempered radiance capable of both soothing and scalding at acutely calibrated levels. Yet she became an incandescent cultural force during the last decade of the previous century and the first decade of this one. 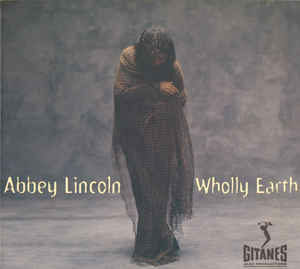 Beginning with 1990’s The World is Falling Down, the first in a series of epochal albums recorded for the Verve label, Lincoln experienced a late-bloomer apotheosis few singers, even the greatest of them, had the opportunity to enjoy. 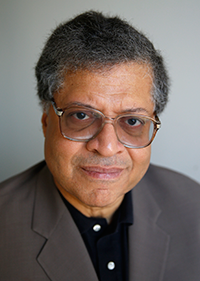 The obituaries have thus far celebrated Lincoln’s stature as a role model for performers, composers, activists and bandleaders. All told, the finest example she set – and left behind — was showing us how to live with steadfast creativity and uncompromising passion, even at a time when we’re supposed to be contemplating retirement. And this was, to be clear, when I was a bit more optimistic about things than I am now. But in the context described above, one of the many songs I wish Abbey had tried out in her wintry radiance was the theme song of Never Too Late, a 1965 film adaptation of a Broadway comedy starring Paul Ford as a lumber executive in his 60s who’s made his 50-ish wife pregnant for the first time in decades and is more than a little baffled by it. Tony Bennett recorded the song and his version was released a year later on The Movie Song Album (Columbia). I now like to imagine Abbey Lincoln’s voice wrapping itself around a verse such as this with all the understanding and empathy she can muster. When I do, I feel a lot better. Maybe you will, too.